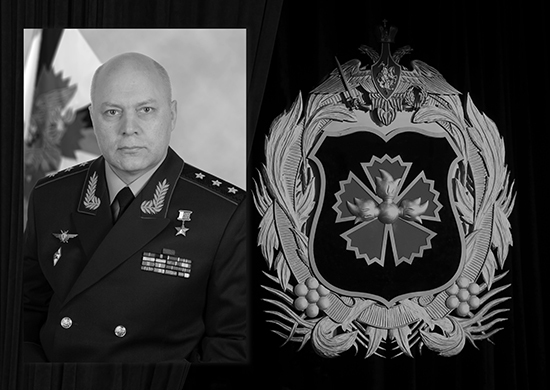 The Chief of the Main Intelligence Directorate of the General Staff of the Armed Forces of the Russian Federation – Deputy Chief of the General Staff of the Armed Forces of the Russian Federation, Colonel General Igor V. Korobov passed away on November 21, 2018, aged 63 after a serious and long illness. I.V. Korobov was born on August 3, 1956 in the city of Vyazma, Smolensk Region. He entered the service with the Armed Forces in 1973. After graduating with honors from the flight department of the Stavropol Higher Military Aviation School named after Marshal of Aviation V. A. Sudets, he served in the Fighter Air Regiment. After graduating in 1985, he served in the organizational bodies of the Main Department (GRU THAT IS THE Russia’s Main Intelligence Directorate mainly collects “military” intelligence) of the General Staff of the Armed Forces of the Russian Federation. After graduating from the Military Academy of the General Staff, Igor V. Korobov served in the central military intelligence agency of Russia in leadership positions. In January 2016, by the Decree of the President of the Russian Federation, he was appointed Chief of the Main Intelligence Directorate of the General Staff of the Armed Forces of the Russian Federation – Deputy Chief of the General Staff of the Armed Forces of the Russian Federation. His service as the head of the Russian military intelligence was awarded state awards and the highest degree of distinction – the title of Hero of the Russian Federation. American officials added Korobov to their sanctions list in December 2016 for his “efforts to undermine democracy” by organizing hacker attacks. Nevertheless, Korobov and the directors of Russia’s Federal Security Service (FSB) and Foreign Intelligence Service (SVR the secret agency that collects “political” intelligence) made an unprecedented trip to Washington in February 2018 to meet with members of the U.S. intelligence community to discuss the war against terrorism.